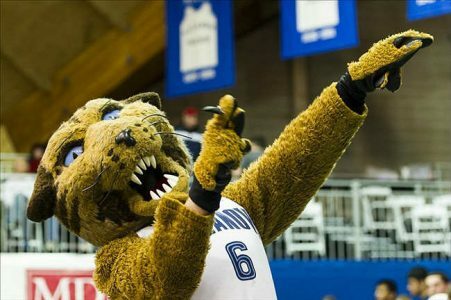 I’m recommending a play on the Villanova Wildcats on Sunday evening. When Doug McDermott entered his sophomore season on the hilltop in Omaha, Doug’s dad Greg joked that if his son stuck around for his final three seasons of eligibility, he knew he was guaranteed at least three more years as Creighton’s coach. Well, Doug did stay those final three years, but he’s now in the NBA (nursing an injury, by the way). Not only did Doug leave, but so did 3-point specialist Ethan Wragge, along with play-makers Grant Gibbs and Jahenns Manigat. That’s four starters who made Creighton tick. The Blue Jays destroyed Villanova in both meetings last season, including a 96-68 win in Philadelphia as a 6 1/2 point underdog. Gibbs was out that night, but McDermott, Wragge, and Manigat, combined for 69 points on 23-for-34, 68% shooting, including an unbelievable 18-for-27, 67% night from behind the arc. They beat Villanova 101-80 later in the season in Omaha, just to show the Wildcats it was no fluke. But the players mentioned are long gone and so are the conference wins. CU has yet to win a Big East game this season (0-7 SU). And you can bet Jay Wright will have no trouble reminding his players how badly Creighton embarrassed them twice last season. Making matters even worse for the Jays was the season-ending injury suffered by Ian Zierdan this past Wednesday night. Zierdan was one of only two Creighton players averaging more than 8 ppg. Man, how things have changed in a hurry. Not that they need any, but the Wildcats have a little more incentive after getting thumped at Georgetown last time out. Look for the Jays to be the team that gets thumped in this one. I’m recommending a play on Villanova minus the points on Sunday. Thanks & GL! Scott Spreitzer. Scott Spreitzer CASHED yesterday’s Afternoon Annihilator, part of a winning card, overall. His next AFTERNOON ANNIHILATOR goes on Sunday and Scott says his side is in blowout mode. Grab the day winner right here backed by a 90% winning spot and matchup advantages!